A number of our lodge & chalet owners offer direct holiday lets. These advertisements are for privately owned lodges and chalets who offer direct holiday lets. Please contact the accommodation OWNER directly for prices, availability and to book accommodation. The Beech Lodge ~ luxurious, modern and stylish. Master bedroom with King size bed. Guest bedroom with twin beds. SKY Q and WiFi Broadband included free of charge. 'Oak Lodge' is a 2 bedroom lodge sleeping from 4 to 6 people. Dogs are welcome. WiFi Broadband included free of charge Modern, stylish and with a large sun deck and a designated parking space. * * * SLEEPS 4 to 6 PEOPLE * * * Pet Free accommodation. WiFi Broadband included free of charge Two bedrooms and two bathrooms; bath and shower. 5* luxury lodge ~ sleeps 4 people. Pet Free accommodation WiFi BROADBAND included. The chalet has its own patio area, sleeps up to 4 people and is dog friendly with up to 2 dogs included free. One double & one twin bedroom. This cosy, warm & welcoming chalet, with its light and modern decor, is the perfect place to leave the stresses of modern living behind. Dogs Welcome - two dogs go FREE. Two bedrooms sleeping up to 4 people. Please note that all bookings must be done via the direct contact details included in each of the individual adverts not via Woodlands Park itself. Woodlands Park is not responsible for the content of these third party adverts and any bookings are done directly with the owners of the chalets and lodges or their chosen third party booking agents. 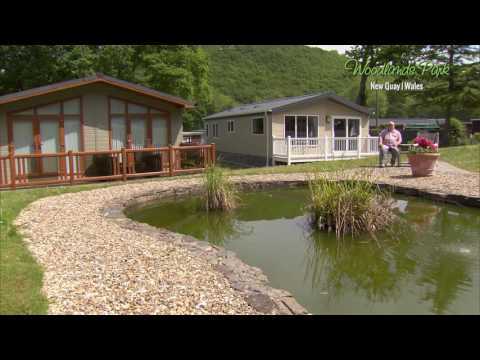 Woodlands is not liable for bookings, holidays or any information relating to any of the lodges or chalets advertised on this website for holiday lets. All correspondence must be conducted with the owners of the lodges and chalets.